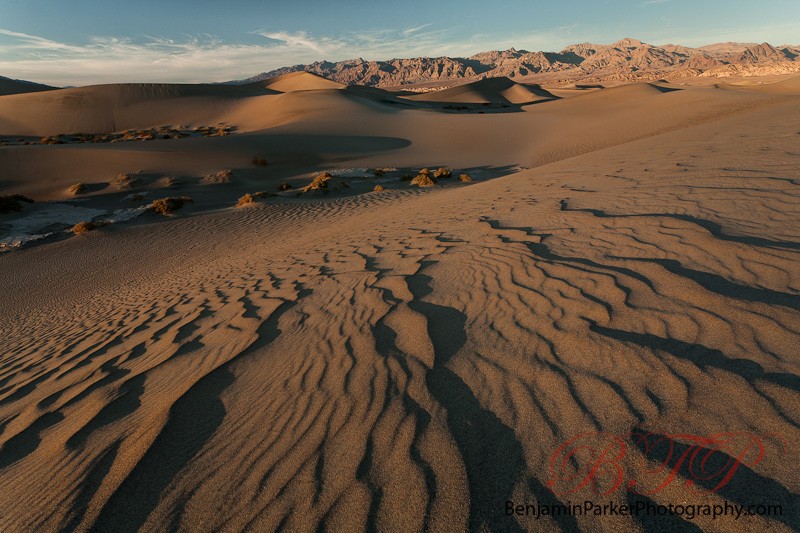 Mesquite Flat Sand Dunes in Death Valley National Park. Shots here have eluded me one way or the other over the years. Sunrise is the ideal shooting time (mostly due to an overwhelming amount of footprints by the days end) and I returned to the following morning to hopefully grab a nice shot of the dunes (which turned into a little adventure). This image, however, was at sunset and turned out quite nicely. Maja, my friends Dave and Bill, and I met here this past week for a brief photo trip. So far I am pleased with the results and look forward to sharing them with you. Cheers.